So, since I have nothing better to do for the next month, I decided I'm going to start a feature where I show you something that I found in my closet from my childhood bedroom that I haven't seen in years/worn in years. I'm going to stick to particularly hilarious or interesting items. It's going to be a blast from the past for me, and maybe interesting for you. At least I hope for the latter. Today's edition: the Moon Boot. 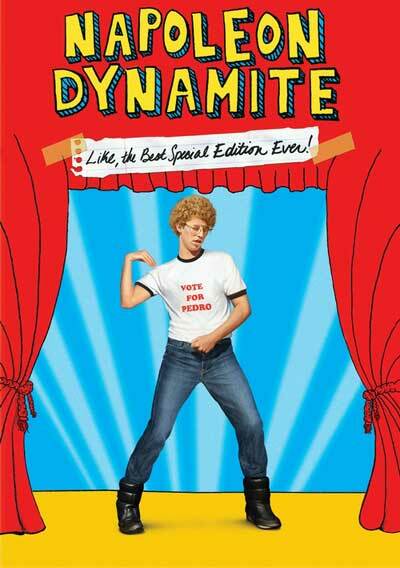 Originally designed by Tecnica in the 1970s, worn throughout the 80s, and made particularly infamous by Napoleon Dynamite in the 2000's, the moon boot lives on today. 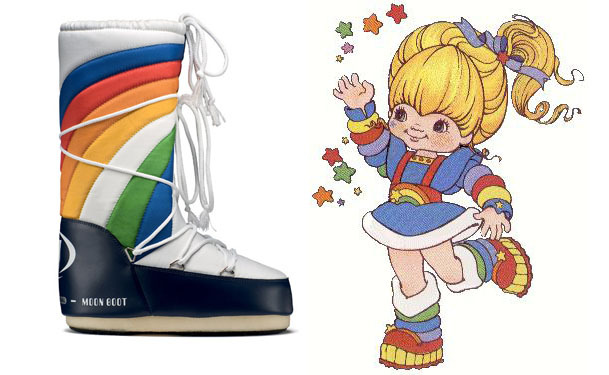 Which came first, Rainbow Brite or the Moon Boot? I purchased these in the winter of 2005-2006 from Victoria's Secret of all places, and I got my use out of them while attending the University of Maryland and while skiing in Vermont. 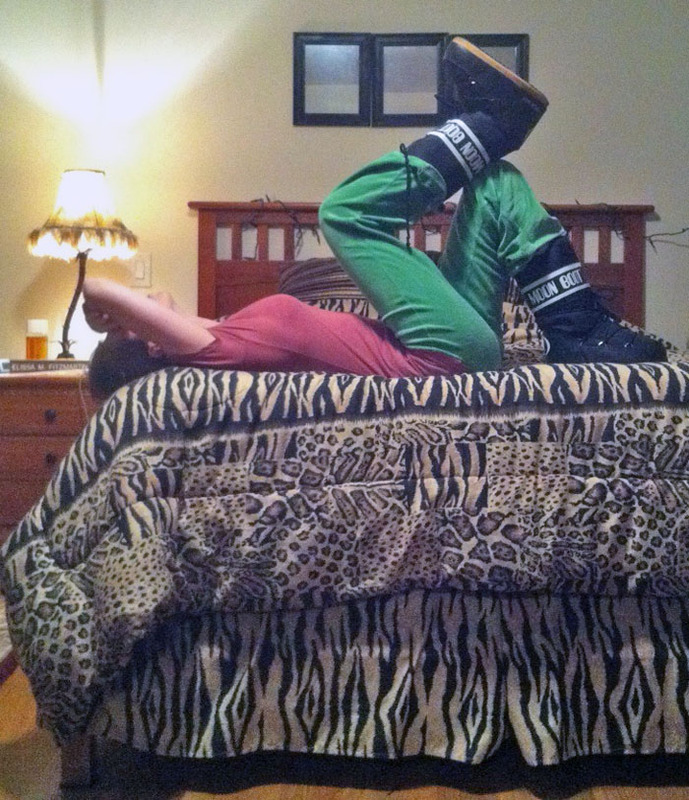 But when I moved to Miami, the moon boots had to stay in CT. I hope you enjoy my outfit which to me is also reminiscent of my childhood poorly dressed and not-caring self - sweatpants. Sweatpants tucked into moon boots. I also hope you enjoy my leopard room. And that little DIY mirror project from when I was 15.
i like the rainbow boot! Amrita Singh site-wide 50% off sale!